Hey parents, great news! Our school supply kits areready to go. Click the image below to order now. Remember, the deadline to order is June 30. Here is an easy way you can help out our school without spending any extra money. Please take a minute and select Highland Elementary for both the Giant Eagle and Heinen's Education Rewards programs. Every time you shop these stores give money back to our school. Encourage others (grandparents, neighbors) to also designate Highland as their school. Heinens requires that you re-enroll every school year. 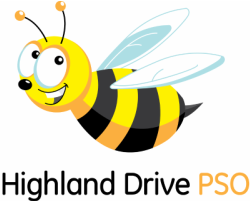 Go social and join our private Facebook group for Highland Drive families! Ask questions, share information, and hear directly from fellow PSO members. Looking for something? Try searching here! On behalf of the PSO, we would like to welcome you to Highland Drive Elementary School. We are looking forward to another great year. Our goal is to enhance the education of each student. We hope you will take full advantage of the many volunteer opportunities available to you. Whether you are a working parent or have young children still at home, there are many ways you can help. Just a small commitment of your time volunteering goes a long way and is appreciated. ​Get connected to your child's world and get involved in PSO! We look forward to working together with you.